News Flash: Working with Resellers is Your Job. Here’s how to do it. The hardest things to grasp and accept can sometimes be counter-intuitive. Like not using your car’s high beams in the fog, or putting on your oxygen mask before your child’s. And my favorite: you’re more likely to cut yourself using a dull knife than a sharp one. Here’s another counter-intuitive truth guaranteed to put your left brain in a full nelson: Expecting to sell your brand through distribution without having and executing a go-to-market strategy. The industry has changed and there are now tons of small producers. At the same time distributors are consolidating. There’s no way wholesalers can effectively service every small brand out there. It’s not profitable nor sustainable from their end. No matter what the size of the distributor, brands have to do their share these days. I’ll tell you the truth that others won’t: It’s ultimately up to YOU, the brand, to create your own destiny. Rich rewards await small brands who understand that “generating demand” falls on YOUR to do list. The great part about this is that restaurants, bars and retailers are very receptive to brands reaching out to them. Especially brands that are a good fit for their focus. Reach out to them directly. Meet them at their point of need (differentiation and improved margins). Even better: draw them to you using social media advertising. 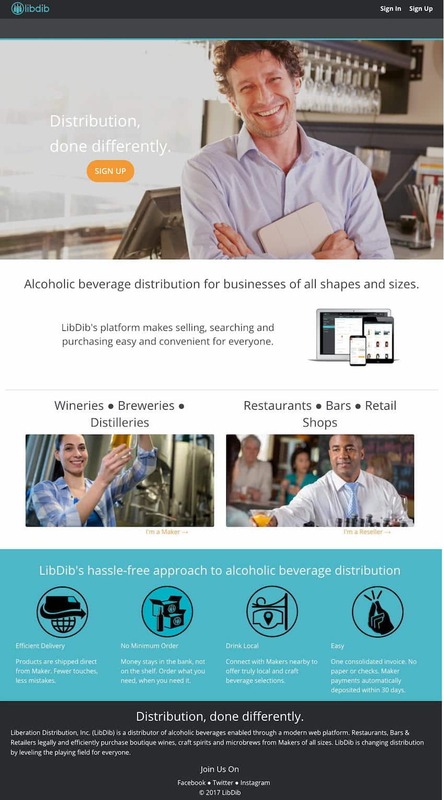 Did you know you can target Facebook ads to a trade audience (wine & spirits buyers)? Are you using Facebook Pixel to re-target to everyone who have visited your website? Do you diligently work to grow your email database of trade contacts? Have you spent time in the market talking to buyers about their pain points and their desires? Have you taken what you’ve learned and used it to sharpen your messaging in your trade ads on Facebook, Instagram, and your email marketing? These are just a few of the new and modern ways of operating in lieu of relying too much on your distributors. I’m speaking from a deep well of experience when I say you CAN control your own destiny. But it starts with accepting the very counter-intuitive truth about what it means to have a distributor. Once you’ve crossed that mental hurdle, there’ll be no limit to what you can achieve. About the author: Ben Salisbury is the Founder/President of Salisbury Creative Group, Inc. which specializes in helping wineries and craft distilleries achieve high levels of sales effectiveness. Leveraging his knowledge and experience from three decades in the industry, Ben and his team deliver sales, marketing, and modern distribution expertise to a wide array of adult beverage clients. We help small brands box above their weight class by leveraging new, modern strategies in their sales process. When you’re small or in start-up mode, you must be able to do the most with the least and that’s where we come in. We help give small brands a fighting chance by teaching them how to work smarter not harder! Get your hands on hard-to-find wine and craft spiritsLibiversary, 2 Years!